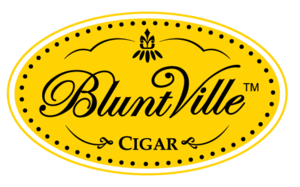 BluntVille cigars are an affordable option for cigar lovers who cannot always spring for high-end cigars that need to be properly humidified. The problem with many cigarillos and smaller cigars that are in the same category as BluntVille is that they become stale fast. Bluntville has ingeniously gotten around this problem by having their cigars come in an EverFresh oxygen-absorbing foil packet, the same packaging that has proven so successful in the food industry. Bluntville cigars also feature a double wrapper, allowing smokers who prefer a faster burn the option to peel off one of the outer layers. The cigars come in a variety of flavors, and the tobacco is of a superior quality to competing products. If you are looking for a high-quality smoke at an affordable price then BluntVille is the way to go.